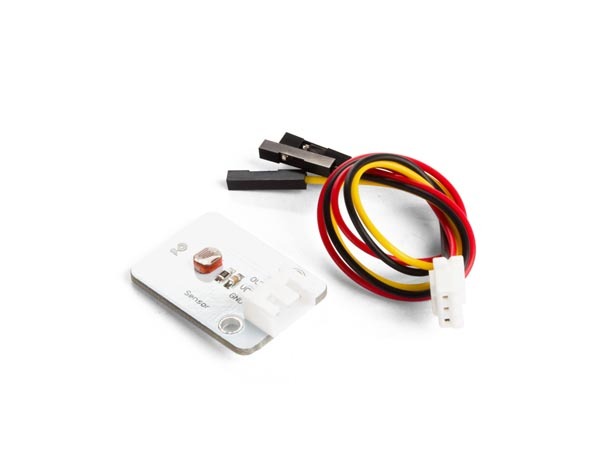 Measure light levels with this sensor module. This module uses a Light Dependant Resistor (LDR) to produce an output voltage that varies with light level. Connect it straight to your Arduino to build a night/day sensor, a sun tracker or combine it with a laser module to make a laser trip wire.